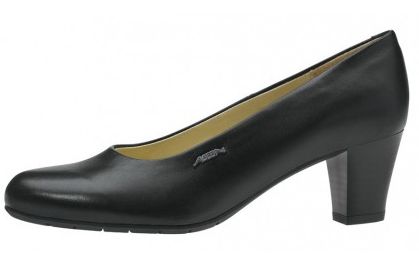 Suitable for heel and foot lift. 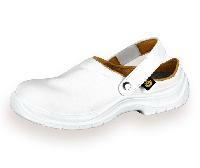 White Antistatic Ladies sandals. Washable in washing machine and extra light. 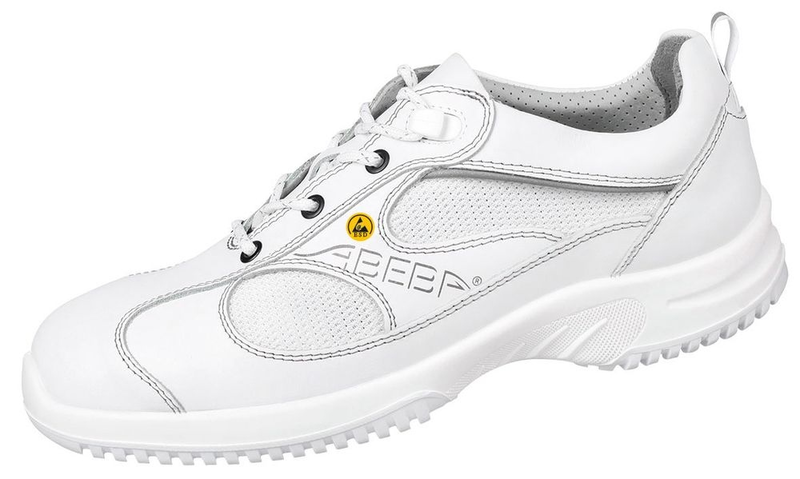 Sizes: 4-10 (European 34-42). 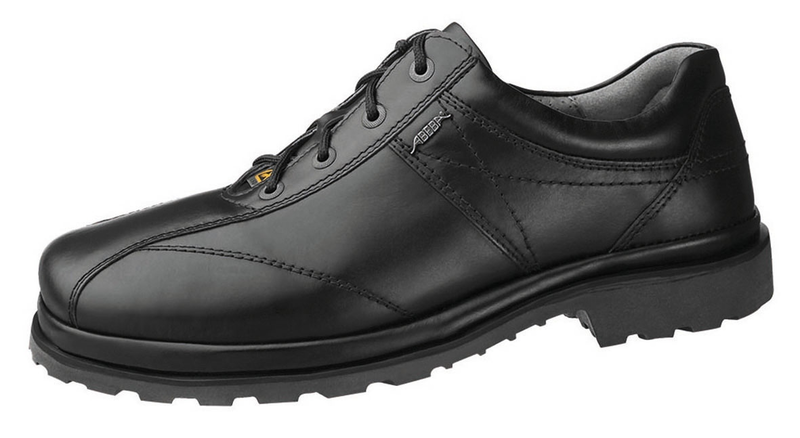 Outsole: Mono-density PU, dissipative, anti-slip and resistant to oil. Meet EN 61340-5-1. 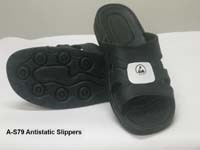 Black Antistatic Ladies sandals. Washable in washing machine and extra light. 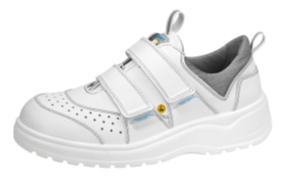 Sizes: 4-10 (European 34-42). 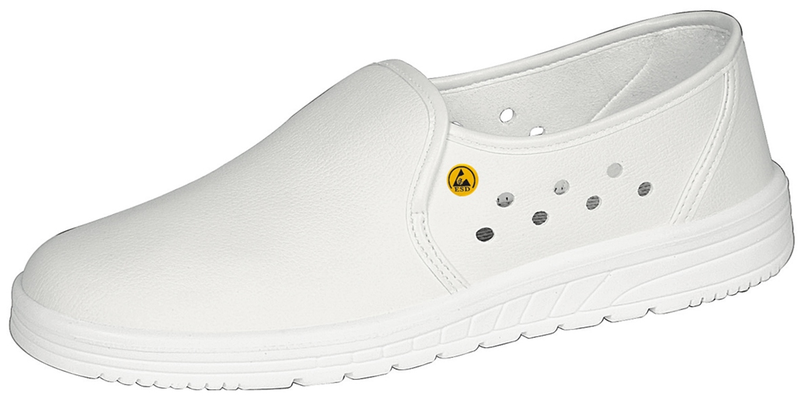 Outsole: Mono-density PU, dissipative, anti-slip and resistant to oil. Meet EN 61340-5-1. 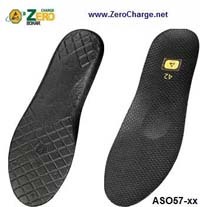 Antistatic, ergonomic (anatomic) PE insole. Provides extra amortization which helps heavier individuals. 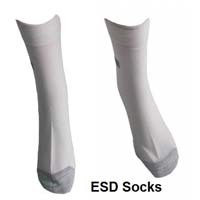 The ESD Comfort Sole Grounder uses the highest quality materials that deliver performance and durability. Fitted with a rugged 1 Mohm resistor with 18” conductive ribbon. 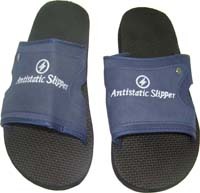 Anti-static economy slipper. Sizes: 250-280mm (European #34 - #44) Upper: material: 65% polyester, 30%cotton and 5% conductive yarn. 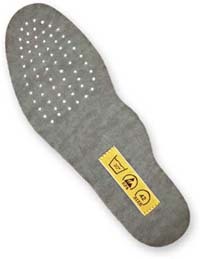 Sole – PVC. Resistance: 10e5-10e9 Ohm. 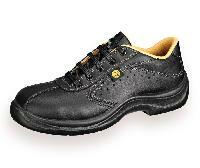 Low cost footwear for comfort in the winter or summer. 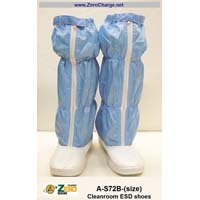 High, Anti-Static shoes for use with blue coveralls in cleanrooms. Dust proof and easy to clean. Nylon/carbon threads in upper part are lines spaced 5mm apart. Sizes: 40 to 45. 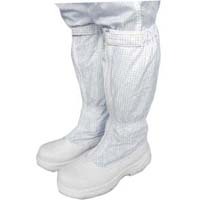 These shoes match the cleanroom coverall ACHC-SB. 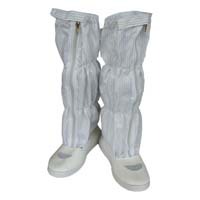 High, Anti-Static shoes for use with white coveralls in cleanrooms. Dust proof and easy to clean. Nylon/carbon threads in upper part form squares spaced 5mm apart.. Sizes: 37 to 45. 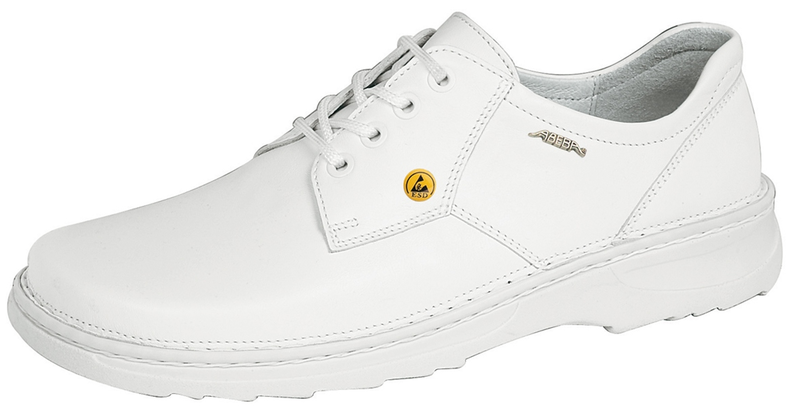 These shoes are a match for cleanroom coverall ACHC-SQW. 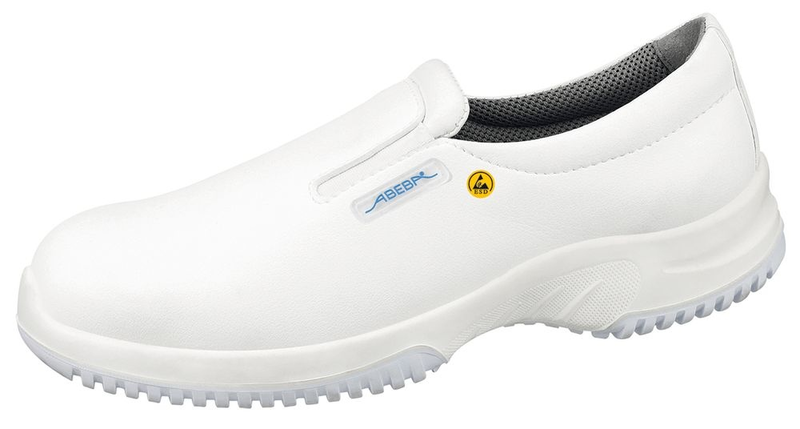 High, Anti-Static shoes with steel toecap for weare with white coveralls in cleanrooms whert toe protection is critical. Dust proof and easy to clean. Sizes: 37 to 45.